How to Make a Successful Portfolio with ICICI Value Discovery Fund? We all know about mutual funds, their job, and their success rate. They are a professionally managed pool of investments which gather money from their subscribers, apply it to some thriving businesses and sectors, generate wealth in this process, and distribute the same to the initial investors. But do you think every fund is capable of doing so? Well, of course they are all designed for the same job, but not every fund is capable of hunting down solid returns. ICICI Prudential Value Discovery fund, is however, amongst those rare funds that enjoy a dominating position in the market. The reason is simple – they produce returns more than the combined returns of what their peers have yielded over time. Its performances have won it a prime position in the market and have placed it at a height which is quite difficult for the others to conquer. In short, an investment in this fund means enlisting yourself into the troop of successful investors, who have earned great returns and will continue enjoying so for a foreseeable future. Now, it is quite reasonable to think that such claims of superiority are made by many funds, but how do we know the legitimacy of these claims? Well, there’s only one way to know it and that’s by having the knowledge about the past, present, and the future of the fund. In this write-up, some of the most vital information about ICICI Value Discovery Fund gathered by the team of MySIPonline has been published, which will produce a clear and unbiased account of this fund in front of you. The information contained here will show you why and how you should invest in this fund. So, let’s dig in the information and find out some answers. High Security : ICICI Pru Value Discovery Fund is an equity-oriented large-cap fund, where more than 80% of the assets are stuffed into high quality stocks of large and giant companies. This infuses an enormous amount of power since the companies of which the stock has been bought are well-established in the market, thus the chances of any adversity or failure are minimum. This makes the portfolio a secured venture, and the investor enjoys high returns without getting exposed to high risk. Highest Paying Fund : ICICI Value Discovery Fund (G) has been the highest paying fund in the market for past many years. In the latest data sheet announced by ICICI Mutual Fund, it was revealed that the fund has given the highest returns in the past five years, which figure up to 22.81%. This is a marvellously high figure that has even surpassed the results achieved by the five-star rating funds in the category of large-cap mutual funds. Also, the lead against S&P BSE 500 TRI (the industry benchmark) is quite long with a difference of almost 6-7% returns. Great Tool for Diversification : It’s a long known fact that a portfolio cannot survive without appropriate incorporation of diversification. There has to be a proper mix of high-performing fund, together with the rather defending funds which are low on earning but high on providing risk cover. ICICI Prudential Value Discovery Fund Growth is, however, a rare combination of both security and strength which fulfills both the returns and security requirement quite efficiently. Constructed with the high quality stocks of large and thriving companies, this fund is perhaps the best bet you can put your money on. How to Invest in this Fund? 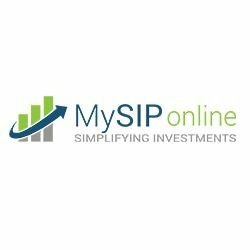 Investing in ICICI Prudential Value Discovery Fund (G) is quite simple with the easy online solutions provided by MySIPonline. Just create an account, sign in, choose this fund and the others as per your requirement, and then simply add them to your cart. You’d be navigated to the payments page where you can easily execute the transaction online either through Debit Card or Net Banking. And that’s it! Congratulations on being a proud subscriber of one of the best large-cap funds in the Indian market!